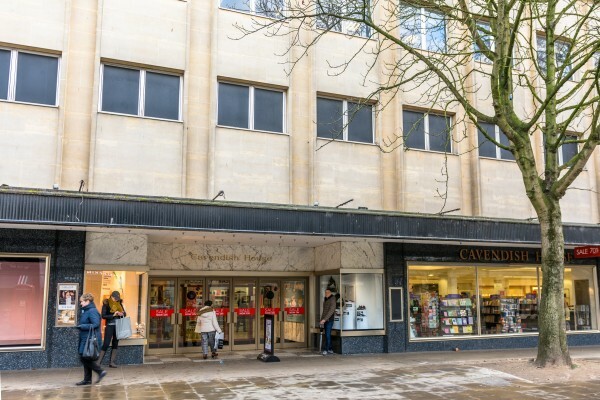 Cavendish House is Cheltenham’s oldest, leading department store, established in 1823 on The Promenade. Now known as House of Fraser, Cavendish House keeps its original name above the shop as a reminder of the department store’s rich history. When the store first opened, Cavendish House was well known for carrying a selection of drapery, silks, haberdashery, millinery, hosiery, lace and family mourning goods. However, by 1872 the shop expanded massively, with departments selling items from Tobacco to Wine, Exotic foods, Chocolate, Clothing, Funeral Services, Flowers, Stainless Steel, Toys and Children clothing, Books, Homeware, a restaurant, bar, cafe, food hall and even a section completely dedicated to selling Christmas crackers. One of the most popular of these departments was the Children’s Department which stretched out across the whole of the top floor. Now blocked off, the Children’s department became a massive success in 1945 after the war, where many who lived in Cheltenham began to focus on family and home life. 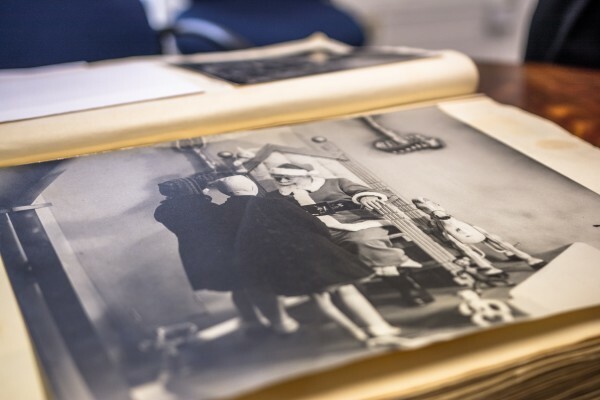 The amount of interest in the Children’s department led Cavendish House to hold events tailored to children such as “Santa’s Grotto” in 1992, a great event which was recently brought back in 2017. As a result of the popularity of the Children’s Department, during the late 20th century, Cavendish House also offered customers the option to place deposits on particular children’s items and clothes, allowing them to pay for the item in installments rather than all at once. This scheme was also available for the furniture section of Cavendish House which was once located in the basement of the now House of Fraser. 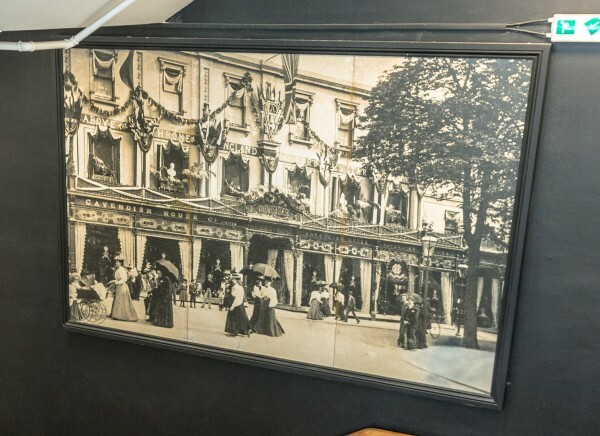 With a huge selection of homeware items, Cavendish House even offered a delivery service for orders made through their catalogue, which would be delivered via horse and carriage. In fact, the furniture section of Cavendish House was so big that it even consisted of a “Rug Room”, which was simply a whole room dedicated to different, unique rugs. Also located in the basement of Cavendish House was a cellar which was once used to stock the upstairs bar with fine wine and spirits. Although now completely empty, the original cellar still remains today in the basement of Cavendish House. When the bar and cellar were removed from the department store, an unusual bottle of Whiskey was found which is estimated to cost around £15,000 today. The bottle has since been very carefully transported to an alcohol shop in Birmingham. 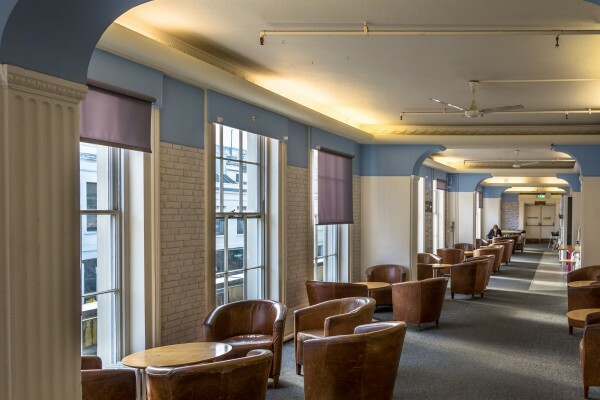 Alongside the bar in the very top floor of House of Fraser, which is now all offices, once held a restaurant overlooking The Everyman Theatre. This restaurant which led through from its own doors offered customers pre-theatre meals and afternoon tea. 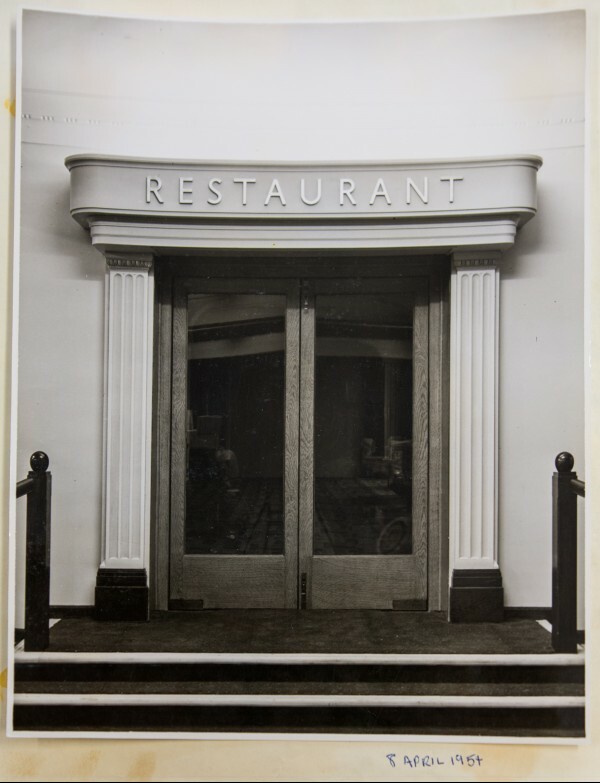 The entrance to the restaurant was also once accessible from the second floor where Mint Velvet now stands. Constantly expanding and changing, the shop has undergone many refurbishments both in terms of departments and structure of its building. In terms of departments, the store was always changing, as illustrated through the store's ever-changing shop windows, advertising stainless steel to women's clothing and drapery. 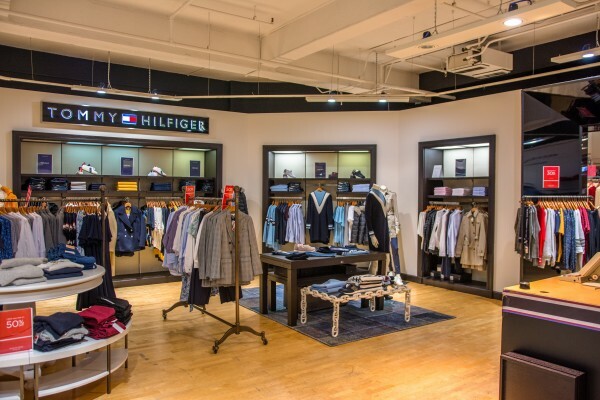 This ever-changing nature of the store was largely a result of the constant change of popular items throughout the decades. Through looking at the window displays, not only can the popular products of the time be identified, but also how taste has changed through the centuries. Another way Cavendish House has changed is through it’s interior/exterior structure. The outside of the department store has undergone multiple refurbishments, including the removal of pillars and iron railings which once ran along the top of the building, now replaced with concrete. The store also used to have flags running across the front of the shop and flowers which hung in the windows. Internally, the store has been ever changing, with buildings being built on and areas being removed and blocked off. With the restaurant and bar area now converted into offices and the once exceedingly popular children’s department blocked off, the department store is now a fraction of the size it once was. This ever-changing structure of the massive building is best seen from the top floor through a back window where new buildings and older structures can be seen placed together. 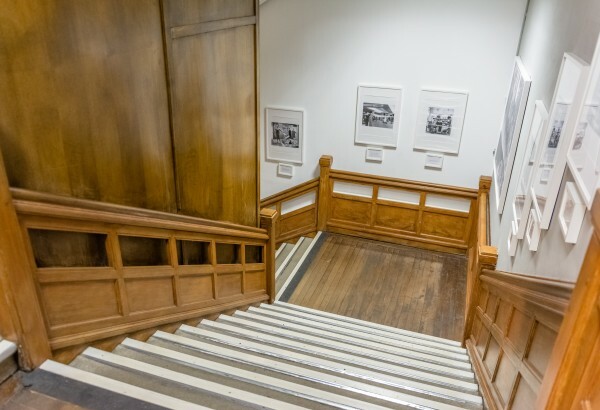 However, despite its ever-changing interior, a remaining feature of Cavendish House that has been there since the 1800s is the staircase which leads out to the back of the department store, featuring photos of Cavendish House back in the 1950s. Another feature of Cavendish House is the many events it’s celebrated throughout the decades, such as the Queen’s Coronation. Illustrated through window displays, Cavendish House’s celebration of the Queen’s Coronation marks the building as an important part of Cheltenham’s history which documented special events for many of the locals. Another large feature of Cavendish House was its focus on fashion. Throughout its time as a department store, Cavendish House has taken part in many fashion shows and exhibitions, displaying some of its finest attire from their catalogue. Pairing with Vogue to construct elaborate window designs and bringing in Dior in the 1950s, fashion remains of key importance to Cavendish House today, which dominates much of the store. 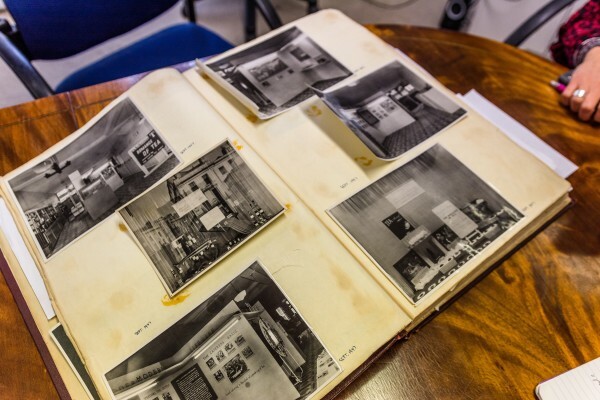 Having the opportunity to look through the archives in Cavendish House enlightened me to the importance of the department store, and its place in Cheltenham’s history. Not only is Cavendish House important in itself, but it is also important through its documentation of the change in consumer products and fashion through the years. Additionally, the store holds great importance to Cheltenham town centre through acting as a great reminder of events once celebrated here.